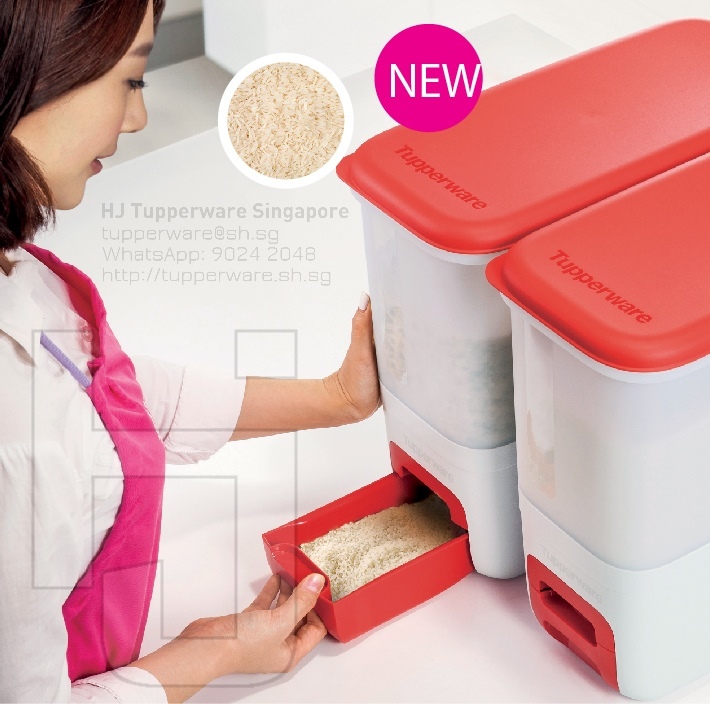 Tupperware Midgets – Limited and Exclusive! 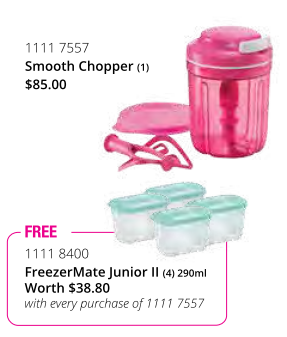 We are honoured to be carrying limited sets of the much sought-after Tupperware Midgets! These are little 60ml (2oz) authentic Tupperware containers that are airtight, leak proof and easy to throw in the bag. We have used this to pack milk powder, meal replacement shake powder, Milo powder, medicine/supplement pills, Chili and Tomato Sauces, measured filtered water to pour directly into milk bottle on the go, and many more uses. Contact us via WhatsApp at 9024 2048 to order now! 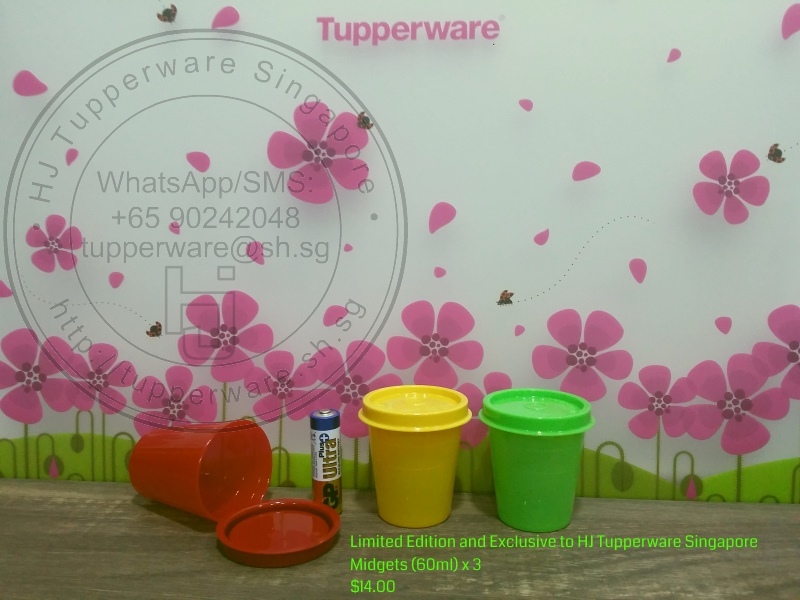 A set of 3 (Red, Yellow and Green) for just S$14.00. Want to order this in bulk or for your corporate and business use? Let’s talk! Discounts possible for bulk orders! Hydrate your way to a flat tummy! Try our refreshingly healthy infused water recipe! Add halved strawberries, lemon slices and mint leaves into Handy Cool. Fill Handy Cool with water, chill in the fridge and serve. Why infuse water with fruits? Strawberries are packed with antioxidants and keep your water sweet. Lemons provide a natural cleansing and detox effect thanks to the citric acid that effectively flushes toxins from your digestive system. Mint leaves help your body digest better and soothe stomach cramps. A must-have for every home, the RiceSmart preserves the freshness of rice with the first-in-first-out rotation method to nourish families at every meal. Stylish and compact, it complements any kitchen and is the best choice for any family. Slim and compact design. 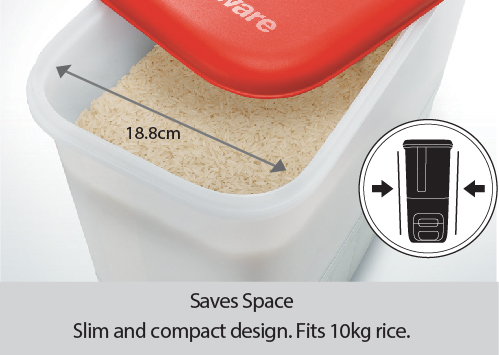 Fits 10kg rice. 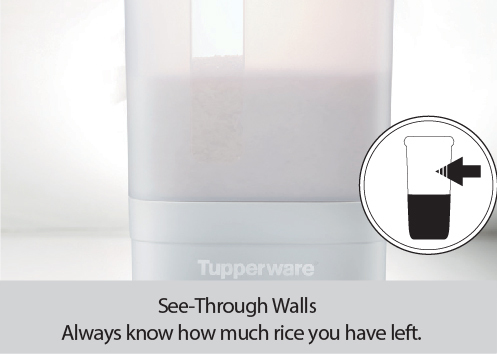 Always know how much rice you have left. 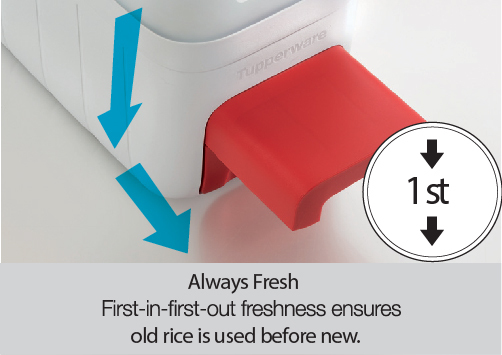 First-in-first-out freshness ensures old rice is used before new. 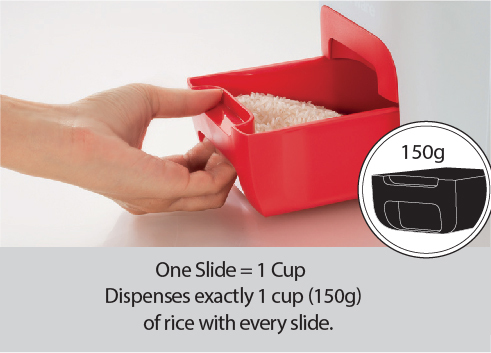 Dispenses exactly 1 cup (150g) of rice with every slide. 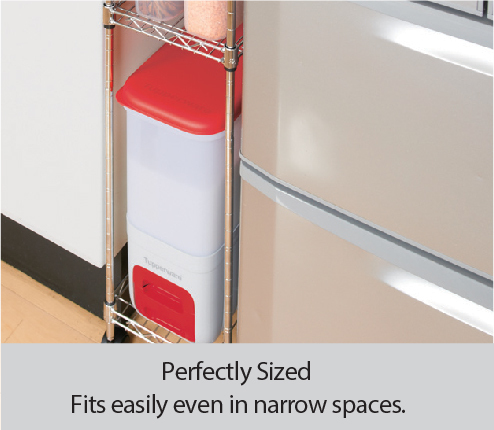 Fit easily even in narrow spaces. Order now via WhatsApp to 90242048! 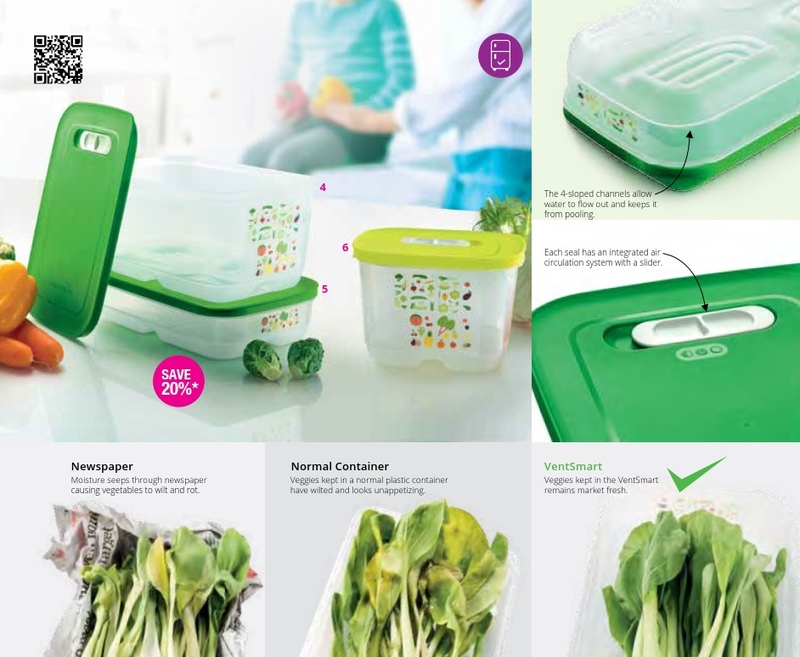 Want to save space and keep your fruits and vegetables fresh for longer in the fridge? 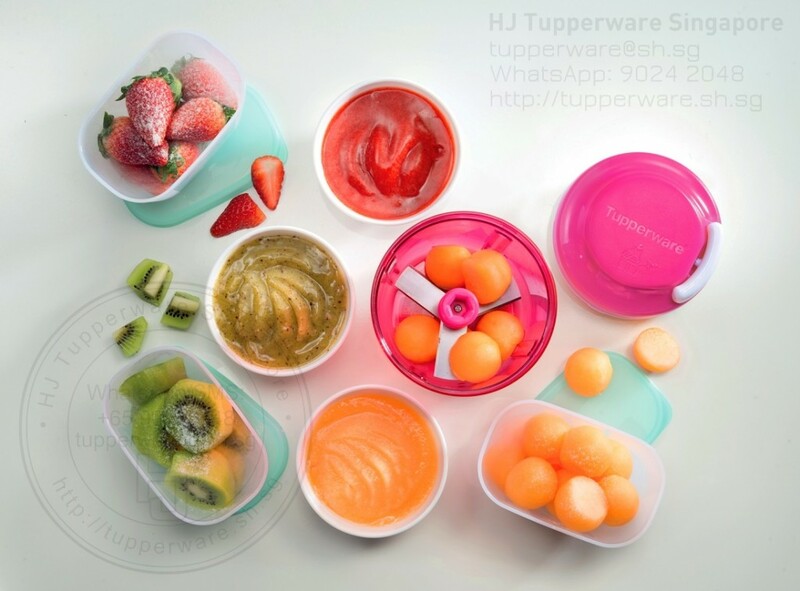 Get smart and use Tupperware VentSmart! With a unique air circulation system that helps regulate the atmosphere inside the container, you never have to worry about wasting money on spoiled produce. 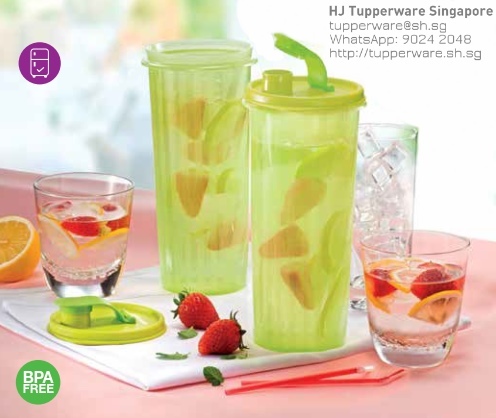 Please click the button below for the April 2015 catalogue for Tupperware Singapore!